Claudio Marino has been providing high quality home painting and faux finish painting to homeowners for over 35 years. He learned and mastered his painting skills from his father Benny, who believed that he was not just painting a house but he was painting someone’s home. Claudio is passionate about providing custom painting solutions for homeowners, including a myriad of faux finish solutions, including marble faux finishes, stone faux finishes or any other kind of faux finish required. Claudio is often called upon by fireplace manufacturers to repair damaged fireplaces. In these cases, Claudio must match the patterns, gloss and feel of the existing fireplace. His years of experience and his artistic creativity help him to meet the most demanding requirements of faux finish painting and restoration. 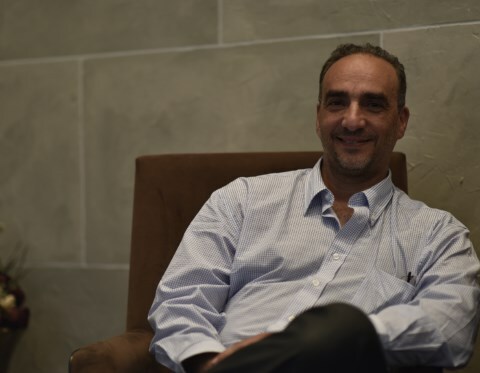 Claudio studied graphic arts and has a unique perspective as a painter and artist, enabling him to see current and future trends. Over the last 25 years he has become a faux finish master that can transform fireplaces to look and feel like marble, stone, and wood. He also can do faux techiniques such as fresco, colour washing, leather, Tuscan, Lusterstone, stenciling, wood graining, stone, granite, marble, leafing (gold, silver, copper), antiquing, and other common techniques. Contact Claudio today at 416-453-7052 for a free consultation on how your home can be transformed through paint and artistry. 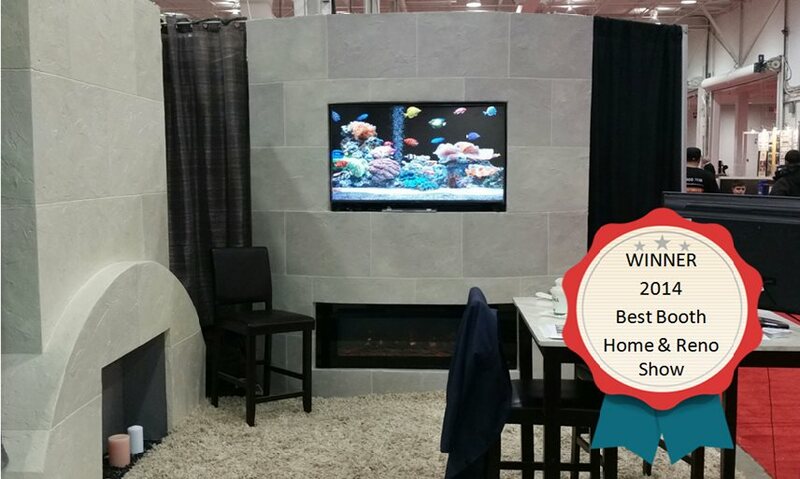 Claudio Marino was recognized at the 2014 Reno and Home show for design of the booth. The booth showcased the capabilities of highly realistic faux finish and stucco stone effects that Claudio is providing to home owners.